Midwest Memories: Let's do Circles! 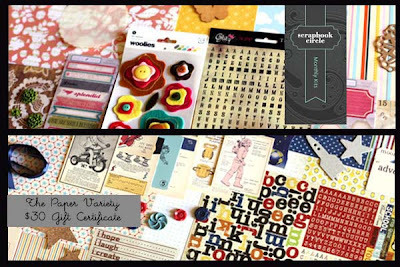 The challenge this week at The Paper Variety is all about circles! The circle challenge is so simple, I hope everyone joins! But if simplicity isn't enough to motivate you, check out our sponsor!! Hope to see your circles project at The Paper Variety! This card is absolutely awesome!! I love the turtle. He is too cute. The Echo Park circles do match perfectly. Way to go getting a ahead. I love the new design of your blog too. The topper is awesome. Um, this could not be CUTER!! !